Expert Plumbers for All Plumbing Needs! Handling ANY Plumbing Service or Need For Your Home or Business! 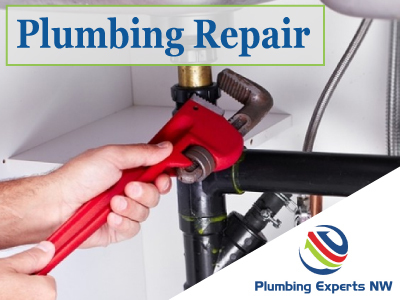 Drain Clogs, Sewer Line Issues, Water Leaks, Water Heaters, and more! A plumbing issue in your home (or in your business) is never a good thing, but knowing EXACTLY who to call when you need a plumber can be a very good thing. If you do not have an Everett Plumber that you can trust, then it's time to find a plumbing company that shows your expertise and value. For years, Plumbing Experts NW has been providing the affordable plumbing Everett WA customers can really bank on. We want to encourage you to call us, NO MATTER WHAT DAY OR TIME and no matter what the plumbing repair issue seems to be---just call us! Our friendly staff and plumbers are ready to help you get through the uncomfortable situation that is having a drain cleaning, sewer line, or plumbing issue. Our company and our plumbers have a history of being honest, thorough, and being clear when providing options for our customers. This is how we have become one of the most affordable plumbers Everett WA has to offer. And trust us, you want good, affordable plumbing repair but never a "cheap plumber". Please, feel free to look up our reviews---we've shown to do right by our plumbing customers time and time again. Or better yet, see for yourself and fill out our contact form below, OR call us today at 425-948-7705. We cannot wait to serve you and show you why Plumbing Experts NW has made a name as the plumber Everett can trust to deliver expertise and affordability every time we show up! The Best Reviewed & Affordable Plumber Everett has to Offer! Sewer lines can be tricky to diagnose and clear out. Our affordable plumbers know sewer repair in Everett.